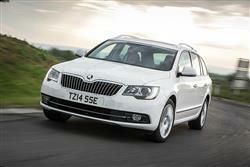 The Skoda Superb formula hasn't actually changed all that much down the years. It offers executive-style space with family-style pricing. That's what we've come to expect. And that's what this much improved second generation version delivered. Prior to developing this facelifted MK2 model, Skoda had been quietly and assiduously building its reputation as a manufacturer of quality vehicles. This post-2013 Superb was no exception and at the end of its brief two year production run, used market buyers quickly realised that with this car, they could get something with top-drawer build quality for the price of a middling new model Vauxhall Corsa. Here's what to look out for is you fancy a bit of that action. Turn the clock back to pre-war times and the Superb was also Skoda's flagship model, with a history dating all the way back to an original launch in 1934, after which for fifteen years its role was to showcase the high standards the Czech brand was then setting in automotive comfort, ride and refinement. Fast forward to the turn of the century and the Superb was back - the first generation version based on the platform of a stretched Volkswagen Passat. Hardly very Czech, but enough to satisfy the country's President Milos Zeman who'd come to Skoda wanting a large, luxury saloon, having been embarrassed by the previous need to use German cars for his official duties. The MK1 Superb model sold well enough to force Volkswagen Group bosses to let Skoda build a replacement - and this time one with much more Czech DNA. 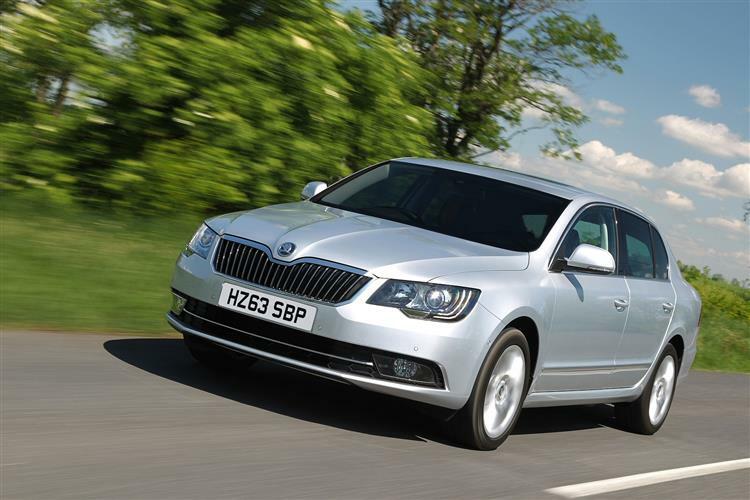 Launched in 2008 and based on a platform stretched from Skoda's second generation Octavia, it added innovation to the Superb's established attributes of roominess, comfort and value. The Hatch model's novel Twindoor rear liftback arrangement offered the look of a saloon with the versatility of a five-door. And for those space-seekers not fully convinced, there was a fully-fledged estate variant offered for the first time too. It was all enough to continue this model's strong sales showing, with over 557,000 examples of the second generation version sold by the time a package of general revisions was necessary in the summer of 2013. The changes were predictable - smarter looks, greater efficiency and extra high-tech equipment - but the car they were visited upon continued then, and continues now, to offer its own unique package of space, innovation and affordability in the medium range Mondeo sector. All-wheel drive Outdoor and Outdoor Plus estate models were added at the end of 2013. The SE Business trim appeared in April 2014 and July 2014 saw the launch of the Superb Black edition, with black alloy wheels, additional black exterior styling details, sunset privacy glass, 'Amundsen' satellite navigation, DAB digital radio, full leather upholstery, cruise control, floor mats and metallic/pearl effect paint. In February 2015, Skoda updated the SE Business trim level in hatch and estate guises, this model adding full leather upholstery and heated front seats as standard with no increase in price. It was but a stop-gap until the all-new Superb was launched in the Autumn of 2015. The sleeker second generation design features a front that was fully revised from the A-pillars forward, so there were changes to the wings and the bumper, plus sharper-looking headlamps that on plusher versions feature bi-xenon technology and integrated LED daytime running lights. They frame a smarter chrome-trimmed grille proudly distinguished by a Skoda logo that dominates the leading edge of the restyled bonnet. It all combined to give the car a bit more visual identity. At the rear, the changes this facelifted MK2 model introduced over the original post-2008 design were more subtle, with distinctive crease lines recognisable from smaller Skoda models and rear light clusters on both bodystyles that were revised to feature brighter LED lamps. As with the original MK2 design, the hatch version featured a novel 'Twindoor' system that configured the car as a kind of cross between saloon and a five-door. It was made easier to use for this model, operated by a couple of buttons, one of which operates a conventional bootlid. Depress the other though and the whole of the rear windscreen rises as one with the boot lid to form a conventional hatchback tailgate that still unfortunately lacks a rear wiper but raises to reveal a 595-litre cargo bay that's around 20 per cent bigger than most other Mondeo-sized models. The estate variant of course offers more - the tailgate (optionally power-operated) raising to reveal 633-litres - which is more than you get from Executive estates like Audi's A6 Avant and BMW's 5 Series Touring from the next class up. If you need more room, pushing forward the 60-40 split-folding rear bench reveals up to 1,865-litres of total fresh air - 165-litres more than the Hatch model can offer and a massive 335-litres more than you'd get from a typical segment rival like Vauxhall's Insignia Sports Tourer. Skoda reckons that it added over £1,100-worth of extra features to entry-level versions of this facelifted MK2 model - things like cruise control, Bluetooth 'phone compatibility and a four-spoke multi-function steering wheel. Estate models also got roof rails and a useful removable LED torch in the boot. That's in addition to Superb staple items like alloy wheels of at least 16-inches in size, front foglamps, daytime running lights, power heated mirrors, air conditioning that also cools the glovebox, a height adjustable driver's seat, a trip computer, cruise control, a storage box under the front passenger seat and an 8-speaker stereo with an aux-in point. Original buyers had to pay extra for a proper full-sized spare wheel and base-trimmed variants lacked items like body-coloured bumpers, parking sensors, a USB connection and a Hill-Holder clutch. Still, you'll find these on plusher models further up the range - along with some really nice little touches like something you'll only otherwise find on a Rolls Royce: an umbrella stashed in the rear door complete with drainage system. 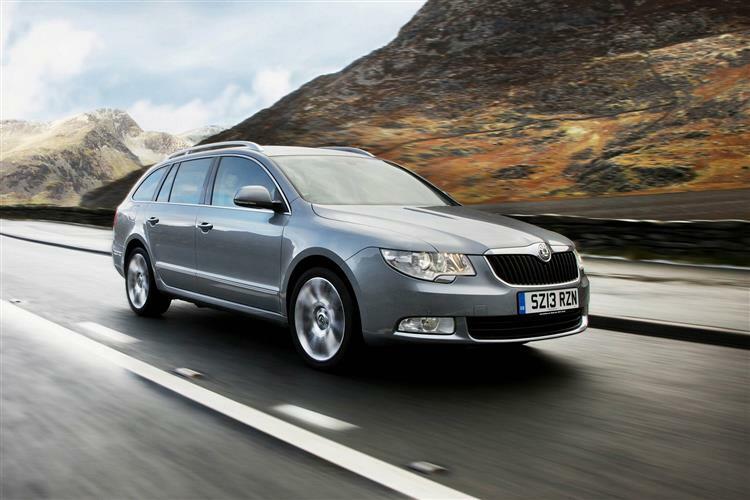 The Superb has proven to be one of the most reliable cars around, scoring first place in the Auto Express Driver Power customer satisfaction survey in 2011, then second place in 2012. Look for uneven tyre wear but otherwise there's very little that goes wrong with these cars. High mileage examples may well benefit from replacement dampers. The interior trim is hard wearing. Look for signs of damage to the exhaust on all-wheel drive estate models and check for the usual parking scrapes and kerbed alloys as this remains a big car to manoeuvre into a typically sized supermarket bay. (Estimated prices, based on a 2014 Superb 1.4 TSI) An alternator is a big ticket item at around £450, while a clutch assembly is around £215, making these parts of the Skoda ownership experience as upmarket as Volkswagen claim. Front brake pads are a reassuring £50 a pair, whilst a starter motor is around £135. It's a fact: Britain's roads are some of the worst in Western Europe, except perhaps for those in the Czech Republic. Small wonder then, that it's taken a Czech maker to produce a car that rides beautifully here. Over-large wheels with stiff suspension that produces a supposedly 'sporty' drive sound great on paper but can be a misery to live with, day-in, day-out. The Superb, in contrast, dispenses with all this nonsense and offers up wonderfully supple suspension. The comfort emphasis isn't just focused on ride either. Refinement is outstanding. As a result, it's a great car for long distances - or even better, to be driven in. On the road, though the Superb certainly feels big, we've found that it shrinks around you. The controls are light and accurate, the steering's well weighted and precise and the whole car really feels solid. What it isn't is particularly sporty to drive, but then if you're after that, then this Skoda is unlikely to be on your shopping list in the first place. Unlike early Superb models though, this one's on a par with a Volkswagen Passat in this respect and there's the option of finding a car with the VW Group's creamy smooth DSG twin-clutch automatic gearbox. The Superb is front wheel drive in standard guise but 4x4 versions are offered further up the range for those seeking greater traction. Here, a Haldex clutch keeps the car front driven until the first signs of slip, at which point torque is seamlessly transferred towards the rear. You'll thank your lucky stars for it in the next winter snap. Who needs an SUV anyway? The Skoda Superb has always been one of those cars that leave you thinking 'hmmm, interesting' when you're doing your online used car trawl. Then you look at something that you think is genuinely interesting. It's only when you stack the Superb up against cars like the Passat and the Mondeo that you realise that the depth of design, the sheer utility of the thing and the range of engines, drive layouts and transmissions makes the Superb, well, interesting. Genuinely. It's never the obvious choice, but Superb owners absolutely swear by them. We can see why. A solid reliability record and access to the bottomless parts rack of the Volkswagen empire means that here is a car that's cheap but charming, especially in this updated MK2 model guise. If you want to supersize but don't want to pay the premium, you know what to do.